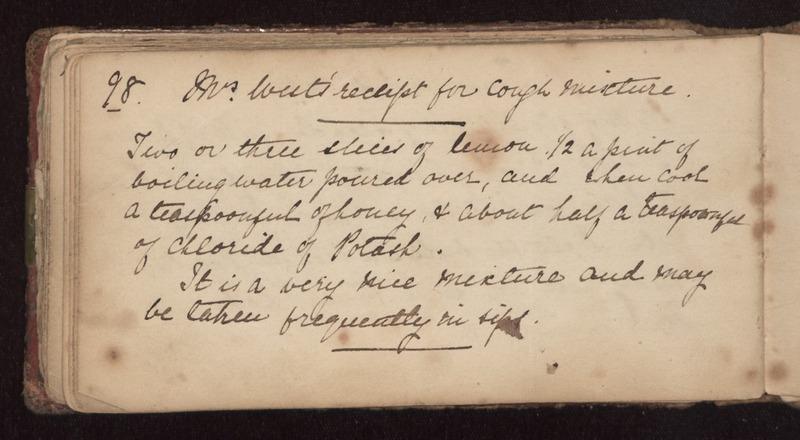 Mrs. West's receipt for cough mixture. Two or three slices of lemon. 1/2 a pint of boiling water poured over, and when cool a teaspoonful of honey, & about half a teaspoonful of chloride of potash. It is a very nice mixture and may be taken frequently in sips.